I have never thought that Leibniz's monads were elementary particles. I have never understood what they are, and I don't really care, because I can't see why anyone should take them seriously. Leibniz was one of the great philosophers of the age of Rationalism and the last major philosopher who was also a first rate, indeed a great, mathematician. His system, especially as developed by Christian Wolff (1679-1754), established the basic form of metaphysics in German universities, providing the philosophical starting point for Immanuel Kant (1724-1804). Leibniz's metaphysics is most profitably contrasted with that of his near contemporary Baruch Spinoza (1632-1677), since the two of them come down on exactly opposite sides of many important issues (giving us something like a step in Hegelian dialectic). Leibniz's system is also to be compared with the natural science of Isaac Newton (1642-1727), who became Leibniz's bitter enemy, not just in metaphysics, but in the argument over who had priority for the development of calculus. Leibniz, indeed, may have been the better mathematician, but he did not have Newton's success in applying mathematics to physical problems. Leibniz made his living mostly in the employ of German Princes, as a diplomat and even as a librarian, ending his days at the court of Hanover, dying just two years after the Elector of Hanover, George I, had become King of England. The diplomacy of the period mainly involved the wars of Louis XIV. Leibniz was posted to Paris, 1672-1676, at the time of Louis's "Dutch War" of 1672-1678. The later wars (like the War of the Spanish Succession, 1701-1713) found Leibniz working more quietly in Hanover. One advantage of his diplomatic posts was the chance to travel and live abroad. This enabled him to mix with philosphers and scientists in France and England, and to actually visit Spinoza in the Netherlands. Leibniz was thus a cosmopolitan and vastly learned man; but my impression is that, like many extremely brilliant individuals, the depth of his thought was compromised by his own wit. The most famous indication of this was his conclusion that we live in the best of all possible worlds, an explicit principle of such unbelievable optimism that it has been ridiculed ever since, never so immortally as in Voltaire's Candide (1759), where Dr. Pangloss relies upon it entirely, despite the constant counterexamples provided by events. A good place to begin in discussing Leibniz is actually with Aristotle. In the theory of the "four causes" (aitía, "causes," "explanations," "becauses"), Aristotle identified four factors in the explanation of events. The most familiar now is the one that is has typically become simply "the cause," i.e. what Aristotle called the efficient cause, the thing that sets the change in motion. One billiard ball hitting another one, which is how the British Empiricists thought about causality, is paradigmatic of efficient causation. Corresponding to every efficient cause, however, there was for Aristotle also a final cause, meaning the purpose or the end towards which the event aims. Aristotle thought that every event had both an efficient and a final cause, which is hard to understand when we think that purpose requires intelligence and intention, but which made perfect sense for Aristotle when the substance of things contained an entelékheia, the "entelechy" or "end within," which brings about, for instance, the growth of an acorn into an oak. Here we already have an important point about Leibniz. He agrees with Aristotle that every event has a final cause. This puts him at odds with Spinoza, who denied that there are any final causes, even for God. It also puts him at odds with most subsequent philosophy and science, which has gravitated in the direction of Spinoza's view. Even the rather common sense idea today that beings with intelligence and intention have purposes and ends has been called into question by philosophers like Gilbert Ryle (1900-1976) and psychologists like B.F. Skinner (1904-1990), who thought that everything about human behavior was causally (i.e. efficient causally) determined, and that the whole complex of "purposes, ends, and intentions" consists of "mentalistic language" that is the meaningless heritage of pre-scientific superstition. How Leibniz construed the nature of final causes, we shall see shortly. Aristotle's other two "causes" were also the basic elements of his ontology, the material cause and the formal cause. The classic example is that the material cause of a statue is the clay used by the sculptor, while the formal cause is the form given to the material by the sculptor -- the sculptor himself is the efficient cause, and the final cause is the statue intended by the sculptor. But form and matter are not just "causes." The "form" and the "matter" are the ontological elements of the thing for Aristotle, as has been considered elsewhere in the discussion of universals. The form is actually the substance, the intelligible actuality (enérgeia) of the thing (also containing the entelékheia), while the matter is the potential or power (dýnamis) of the thing to be actualized. Pure matter would be "prime matter," but since matter is potential, pure potential would have no actuality at all. Therefore, prime matter has no actual existence. On the other hand, pure form would be pure actuality, and Aristotle did think there was such a thing, namely God. As pure form and pure actuality God does suffer from the disability that he cannot do anything that he is not already doing. He is literally without power, which was a serious embrassment when Christians, Moslems, and Jews later wanted to adapt Aristotle's God to their religions. He is not very adaptable to anything that would be Omnipotens, i.e. "All Powerful," which is why in Islâmic theology, especially, the Aristotelian connection was rejected. But, it turns out, God was not the only pure form posited by Aristotle. In that one function of God is to move the heavens, as the "Prime Mover," Aristotle (missing the conception of inertia or gravity) decided that other intelligences must be responsible for the contrary motion of the individual planets against the basic motion of the stars. These he had no difficulty matching up with the Greek gods, especially when the planets were already named after the gods, names that have stuck to the planets and also still occur in the names of the days of the week. When the pagan gods were ruled out by Christianity, the approach that could then be taken was to say that these intelligences were the angels. At right is the table of the orders of angels, matched up against the heavenly spheres, as found in Dante's Divine Comedy, reflecting, of course, the system of Mediaeval Catholicism. A characteristic of all pure forms in Aristotle, however, is that they are all sui generis, i.e. "of their own kind." The individuation of any Aristotelian form requires matter, so forms without matter are unique of their kind. It is also matter that confers spatial extension. The classic, notorious question of Mediaeval Scholasticism, "How many angels will fit on the head of pin?" has a very well defined answer: An infinite number. Since angels are without matter, they are without extension, which means that any number will fit into a finite area, however small, even the head of a pin. This enables us to give a very telling characterization of Leibniz's metaphysics: Everything that exists is an angel. This is apt because real substances, real entities, the , ontôs ónta ("beingly beings"), what Leibniz calls the "monads," are all unique of their kind and all without spatial extension. The monads can as well be said to all be like souls in Descartes, with the important differences that souls in Descartes do not have to be unique of their kind and that the monads constitute even inanimate things -- Leibniz is no Berkeley; everything that we see is real. One consequence in the metaphysics of Leibniz of the fact that no real thing is extended is that space does not exist. Everything that we might want space to do has to be done by something else for Leibniz. Because everything that we see is real, and because the monads have no extension, this means that every finite object consists of an infinite number of monads ("angels"). This rather bizarre conclusion (only one, of course, of many) is perhaps less strange when we realize that Leibniz is one of the co-inventors of calculus. Calculus in the 17th century was thought to deal with infinitesimal, or almost infinitely small, quantities. Leibniz, as it happens, has very conveniently provided a metaphysics to match this. No matter how small the quantity, there is a monad there. Such an extreme ontological Pluralism, of course, stands in the most stark contrast with Spinoza, who was an equally extreme Monist, since the One God is the only thing that exists. If every finite object consists of an infinite number of Monads, what actually are the Monads? Since there is no space or matter in Leibniz, the Monads, like souls in Descartes again, consist of representation (representatio, Vorstellung), i.e. consciousness. Are these representations caused by external Monads? Well, no. Monads do not causally affect each other. Monads have "no windows." How do the Monads then acquire their representations? Well, they have always had them. Always? Yes, they were created with them. What then do the representations represent? Well, everything, the entire universe in all eternity. This has all come a long way from the relatively common sense metaphysics of Descartes. Given the nature of Monads, as described, the questions that arise are (1) How can the representations of one Monad agree with those of another if they are not physically or causally related? (2) How can the Monads, including, presumably, myself, have a representation of the entire universe without my being aware of that? (3) How can the Monads, including myself, have a representation of all eternity, created from the beginning, without this destroying my choice and free will for future events? (4) How can physical objects consist of an infinite number of Monads and yet be, as we tend to think, inanimate and unconscious? and (5) Without space, how can different Monads appear in different places in physical objects? Leibniz has set up a very paradoxical and counter-intuitive metaphysic, but he does actually have answers to all these questions. The representations of different Monads agree with each other because God has set it up that way. The representations have a "preestablished harmony," one of the most famous phrases in Leibniz, coordinated and ensured by God. So we all see the same things happening because we have all been given the same script, as it were. Or, we could say, we have all been given our own prints of the same movie, and God is the great projectionist who sees to it that the showing of all the films is synchronized. Although our representation is of the entire universe, we are not aware of that because most of our representation is confused. It is so confused that most of the universe is run together in a complete mush. That mush is what we call "perception." For Leibniz, perception is just confused thought. God thinks and knows everything clearly and distinctly and consequently has no perception; but we only think and know clearly a small number of things. Everything else is all run together. That perception is confused thought is just the opposite of what we find in the British Empiricists, for whom thought is merely dim perception. Our representation is of all eternity, but Leibniz does not think that this precludes free will. We make free choices on the basis of what we know, but then what we know is what is presented to us in representation, whose unfolding has been preestablished. Like Aristotle, final causes are pre-packaged within the substances (i.e. the Monads). This does not, in truth, sound very much like free will, but Leibniz does have an important point. Free will can be thought of as arbitrary will, but an arbitrary will really would just be random and irrational. This is how freedom will be thought of in Existentialism, but it tells us nothing if we want free will to be rational. The problem of a rational free will is still little advanced beyond Leibniz's treatment. The fundamental point upon which Leibniz relies is that there are basic differences between (efficient) causation and purpose. Causes are often hidden, but a rational will is going to have conscious and intentional purposes. If purpose is operative in an event but efficient causation is not, then this all by itself is a conception of rational will very different from determinism (as in, again, Spinoza). This may not be very satisfying as a theory of free will, since it does not seem particularly free, but it is progress. Spinoza's God drives us, unseen, from behind, while Leibniz's God tempts us forward with selected information, which at least we are aware of. A more satisfying theory of free will is going to have to take into account the role of purpose and knowledge in the rational will. Monads that constitute inanimate and unconscious objects have representation just like any other Monad, but there simply is no element of thought or clarity in their representation at all. It is not very interesting being a rock, so there is not much of anything happening in the rock's representation, which is a complete mush of unintelligible perceptions. What we call "space" is just how we represent Monads simultaneously in our perception, i.e. in our confused thought. We think of different Monads as spatially distinct because we are unable to conceive of their inner differences, which is more how God would represent them. And they are different. A fundamental logical principle in Leibniz is the identity of indiscernibles, that is, if we cannot tell ("discern") two things from each other, then they are the same thing. Remember that according to Aristotle the way we can have two objects of the same form (or kind) is for them to have different matter, which also makes them spatially distinct. But in Leibniz there is neither matter nor space, so there can only be one object of the same form. Therefore, each Monad can be "discerned" by some real abstract difference. The difference actually is that their representation, which is, after all, what they are, is slightly different. In perception, we construct this difference as meaning that they are in a different location in space and so have a slightly different perspective on the rest of the universe. Even physical objects that seem to be indiscernible, like electrons, which are taken to be absolutely identical by a postulate of quantum mechanics, would be different for Leibniz because their history would be different, which means that the rest of the universe appears slightly different from their perspective. The identity of indiscernibles is actually a very good principle for abstract objects, but anyone who believes in the reality of space, and who does not believe that electrons contain a representation of the rest of the universe, will be more content that identical objects (like electrons) can be individuated by their spatial location -- which is why Schopenhauer called space the principium individuationis. These answers raise even more questions. Does Leibniz think that God is free? Yes, but he is free in somewhat of the same sense as we are, constrained by knowledge. God has perfect knowledge, but then, being perfectly good, he can only do what is the best, most perfect, and most rational thing. Leibniz's God is thus very much more of a Greek God, constrained to be good, than Spinoza's God, whose actions are the unconstrained unfolding of His own nature. Since Spinoza's God is the only thing that exists, and he is perfect, then everything actually is perfect, already, and what we call good and evil from our perspective do not exist from God's. Leibniz must handle this a little differently. Since God only does what is best, then things that appear evil to us do so only because we are ignorant of God's Purpose, for which some lesser evils may be necessary to bring about some greater good. Thus, Leibniz can allow that some evils may exist, but they will turn out to be the necessary means to a greater, indeed the greatest, end. The perfection of God's Purposes gets us to what may very well be the most famous proposition in Leibniz's thought. If God does everything for the best, then in creating the world, he can only have created the best of all possible worlds. While it is a factor in the belief of many that even the hard events of life nevertheless serve some divine purpose, Leibniz's formulation has proven more irritating to the incredulous, probably because the "possible worlds" formulation provokes the thought that this really cannot be the best of all possible worlds. Despite the ridicule that the idea has evoked, the notion of "possible worlds" has turned up with a role in 20th century philosophy. Saul Kripke took the clue from Leibniz and began to use "possible worlds" as a way of turning modal logic -- the logic of terms like "necessity," "possibility," "contingency," etc. -- into a quantitative logic. Thus, a proposition that is necessary is true in all possible worlds; a proposition that is impossible is true in no possible worlds; a proposition that is contingent is true in some possible worlds, including this one; etc. While this can be elaborated into a symbolic apparatus, the metaphysical foundation is compromised by the circumstance that modals are still being defined in terms of modals, since it is all still based on the notion of possible worlds. The only way to get around that is to say that all the "possible" worlds actually exist, and that ours is just one of an infinite number of universes, where every possible thing has actually happened. This has been introduced as a serious proposal even in some interpretations of quantum mechanics, where different possibilities (as in the paradox of "Schrödinger's Cat") can have a phase of real existence. An infinite number of universes, however, still has a real problem with Ockham's Razor, and it is a very disturbing thought that there are universes (another infinite number, actually) where Hitler won World War II, conquered the world, killed everyone he didn't like, etc. It may seem silly to think of this as the best of all possible worlds, but that would be preferable to thinking that, out there somewhere, there is a real worst of all possible universes. But the real problem here for all metaphysics, logic, and science, is the nature of possibility. There is not much of a serious theory of that in the whole history of philosophy. Leibniz's theory of truth also owes a great deal to Aristotle. We understand the nature of things, according to Aristotle, by the abstraction of the forms of things into the mind, which then become concepts. The thing then has an "intentional" existence in the mind. For Leibniz, a Monad, which is like an Aristotelian form, contains its entire history and so everything that is true about it. God thinks every Monad clearly and distinctly, which means that everything he would think about each Monad is already contained in the concept that he possesses of it. Now, a predicate that merely repeats what is already thought in the concept is what Kant later called an "analytic" proposition. Thus, Leibniz's theory is, strictly speaking, that all truth is analytic. We do not always appreciate this because our knowledge of things does not reflect the complete history of each Monad: It's there, in our perception, remember, but we cannot distinguish it from everything in the mush of our finite understanding. As truth emerges in our minds, it is because we have learned more about the nature of things. Strange as the view may seem, something very much like it was still held by Hegel and, of all people, Ayn Rand. Leibniz's notion that each Monad represents the rest of the universe is something to which comparable ideas turn up in rare but curious places. Alfred North Whitehead (1861-1947), who produced one of the rare Rationalistic systems of metaphysics in the 20th century, postulated something similar to Leibniz's Monads, the "actual entities," which, although momentary and not permanent substances like the Monads, do also reflect in themselves the rest of the universe. Most interestingly, however, both Leibniz and Whitehead are often compared to Hua-yen Buddhism in China. In classic Buddhist metaphysics, the dharmas, which are rather like Whitehead's momentary entities, are "empty," which means that they have no essence or nature of their own. This is contrary to Leibniz, except that the Monads possess their own identity by a representation of the entire universe, which is pretty much where the dharmas get their nature also, by "relative existence," the relation of the dharmas to everthing else. The Hua-yen doctrine is of the "interpenetration of the dharmas," whereby "relative existence" is developed into something rather like the representation of everything in the Monads. All these doctrines, of course, including Aristotle's intentional forms, are responses to the continuing epistemological challenge of accounting for objective knowledge when the subject is actually not the object. It has always been tempting to pack the deck metaphysically in such a way that the epistemological question will answer itself. As little inclined as anyone is in the 20th century to accept the full bizarre system of Leibniz's metaphysics, many of his ideas, like "possible worlds," have continued to exert an influence. For instance, Leibniz developed the first system of binary arithmetic, which now is the basis of all digital technology. Of course, Leibniz had his own philosophical interpretation of that. Binary arithmetic uses only the numbers 1 and 0, and so Leibniz, in true Pythagorean (or Democritian) fashion, thought this meant that all of reality could be constructed from "Being" (i.e. 1) and "Nothing" (i.e. 0). A similar portent for the future was Leibniz's notion of turning logic into algebra. Not much was accomplished in this direction until Boole and Frege, but the full development of symbolic logic soon led to new areas in mathematics, like Set Theory, and to the development of programming languages for computers. On the other hand, what Leibniz really had in mind, to turn reasoning into mathematics, was a false aspiration, the conceit of which led to miserable doctrines in the 20th century like Logical Positivism. Leibniz, for all his Aristotelian credentials, was not acutely aware of the Aristotelian Problem of First Principles. Like the other Rationalists, Leibniz simply assumed that First Principles were self-evident (with some elaboration on the basis of his own theory of truth as analytic predication), and then forgot about it. But even self-evidence upsets the applecart for the mathematicization of reasoning. Whatever it is about concepts that makes analytic truths possible, it is not going to be possible to represent it in merely symbolic form. It is the content of concepts, not their symbol, that is the basis for analytic predications. The notion that all meaning could be symbolically displayed, which Jerrold Katz thinks was a false and fatal step in Frege, easily leads to the false conclusion we find in Quine that there actually are no analytic truths. 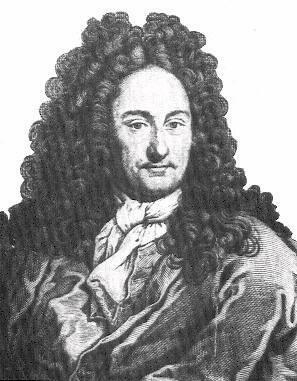 Thus, one idea in Leibniz, that all truth is analytic, ends up contradicted by the development of another idea, to reduce reasoning to mathematics. Thus, there is a great deal of interesting, suggestive, and challenging material in Leibniz, where even some of the most absurd principles nevertheless may have an element that must be reckoned with in perennial philosophy. We can also be thankful that, although Newton did his best to smear Leibniz's memory after his death, out of jealously for Leibniz's co-discovery of calculus, the pettiness and injustice of that is now all too obvious to everyone.